Yesterday at the Nexus event, Google announced a few changes for the 4 month old Photos app, and today, a few of those changes are hitting Google Play in the form of an app update. Inside the update, the Photos app now supports Chromecast, allowing users to bring their shots to big screen to share with those around you. No more slides and projectors of family trips, even though I don’t think people do that anymore. In addition to Chromecast support, users can create labels for people inside of albums, which will remain completely private. Only you will know what you call your friends when they are not around. To use these labels, you will scroll through photos, basically tagging anyone you want to easily find in the future via the search feature found in Photos. It makes for easier discovery in the future. Lastly, we have shared albums. 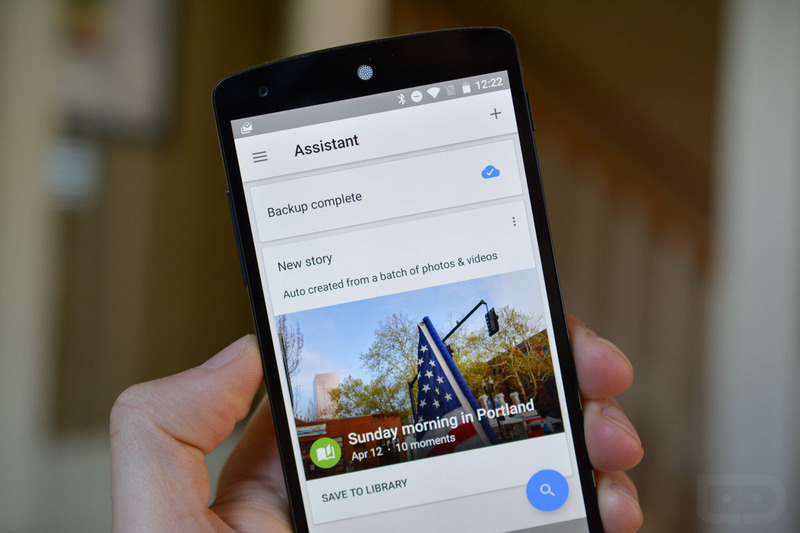 This feature won’t be ready until later this year, but with it, anyone with a camera and Google account will be able to upload photos to a shared album; perfect for big family trips or weddings. When users sign on to the album, they will receive notifications of new photos uploaded. Google gave an example of parents sharing photos and videos of grandkids with grandparents, allowing the older folks to stay on top of young Johnny’s little league game highlights. To hear Google speak about these changes, fast forward the below video to the 39:30 mark. The update for Chromecast support and people labels is rolling out now to Google Play.